When we talk about videos, they are present everywhere and in every field. Either social media, YouTube or other sites, there are a large number of videos related to work, entertainment, and education. Watching these videos online is definitely the first choice, but many times when you need to go through some videos again and again, capturing streaming video seems to be a better option. In simple terms, when you capture streaming video, you are basically downloading or recording it on a local machine so that it can be viewed offline as well. There are variety of streaming video capture software and tools with an array of features. So if you are in search for options on how to capture streaming video, below listed are the best video downloader and recorder software. One of the best ways to capture streaming videos is using desktop software. Large numbers of these software and tools are available among which you can pick the one which best suit your requirements. You simply need to download and install the software on your PC in order to capture videos from social networking sites, videos sharing sites and other sources. Below listed are the best 5 desktop tools for capturing streaming video. iTube Studio Video Downloader is one of the best desktop software that allows downloading streaming videos from over 10,000 sites including YouTube, Vimeo, BBC, Facebook, Dailymotion, MTV, Veoh, AOL, Lynda, Metacafe, BlipTV, and many others. iTube Studio allows batch downloading of entire playlist or a channel with just a click, and can also directly download MP3 from videos. Using the software, you can capture streaming video in different resolution including 1080p HD and can convert them to over 150 formats including MP4, AVI, MKV, M4V, MOV, ASF and others. Local MP4, FLV and other video files can also be imported to the library using the software. iTube Studio also allows recording online videos as well music, and recording is 3 times faster. HD audio and video files can be automatically merged using the software and it also supports downloading subtitles. Download videos from YouTube, Facebook, Vimeo, and other 10,000+ pupular sites. 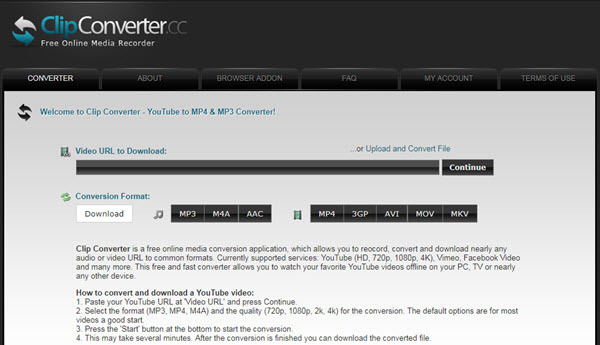 Convert downloaded videos to many formats and devices including MOV, AVI, MP4, MP3 and much more. Batch download videos like YouTube playlists & channels at 3X faster speed. 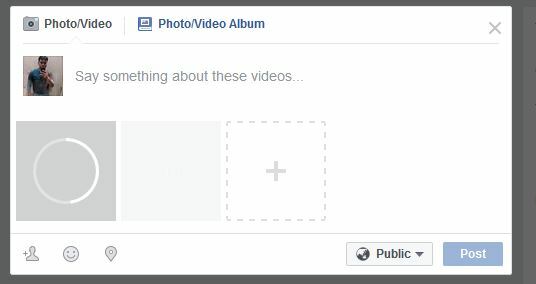 Record screen or any video from online websites, including those "unable to download ones". Private Mode to download videos into a Private List or a password-protected folder. 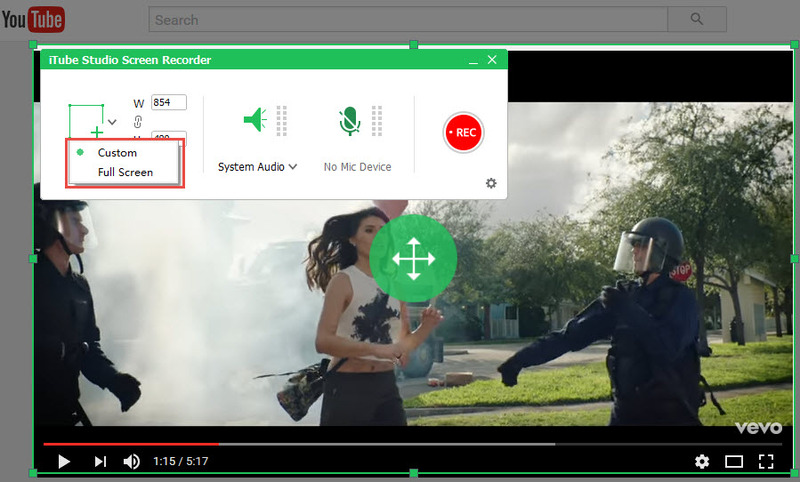 First open any of the streaming videos to be captured in your browser or your local folder, then launch iTube Studio, click Record option on the left panel, then Record button. 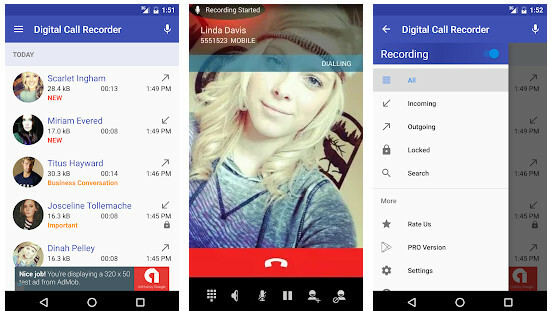 Next, the video recorder will automatically open a recording window in your screen. Adjust the screen area by dragging the frame, you can also select full screen directly. When you get the window ready, click the REC icon to start the recording progress. Besides the video capturing method, you can also download streaming videos from URL or download extension. For using URL, just copy the URL address from the address bar, then click the "Paste URL" button to start the analyzing process. Or you can use an easier way, just click the Download button by side of the video player. The installation of the extension will be given once you launched the program for the first time. However, if you have missed it by accident, don't worry, click here to get full guide on how to install a download button to browser. WinX YouTube Downloader is decent streaming video capture software that allows downloading videos from over 300 sites including YouTube, Dailymotion, Vimeo, MTV, Vevo, and others. The software supports downloading different resolution videos, including 1080p HD videos, 3D video, 8K/4K UHD videos, and others. Once downloaded, the videos can be converted to different formats like MP4, 3GP, WebM, FLV, and others so that they are compatible with other devices. 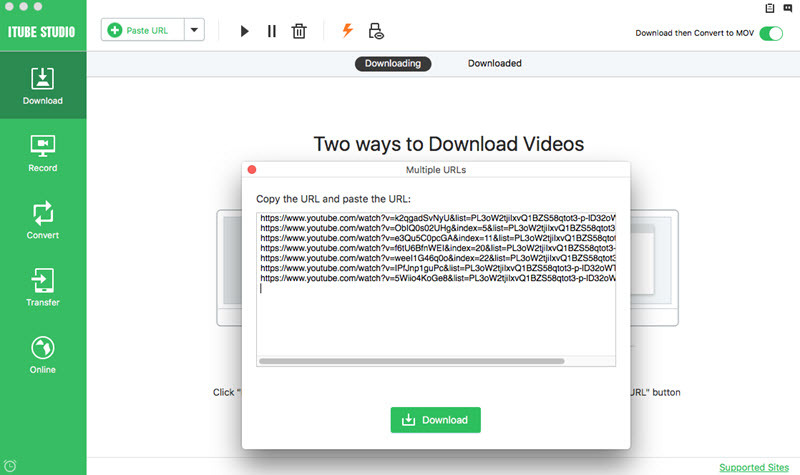 Multiple videos can be downloaded at a time using WinX YouTube Downloader and its multi-thread and multicast technology makes the download process 5-8 times faster. There is no spyware, adware, virus or malware associated with the software which enhances its overall experience. Some of the pros associated with the software include editing features for the videos, multiple video download, and converting videos to device compatible formats. The software cannot be automatically set so as to turn off the system or open the directory after the completion of the task and this can be considered as one of the cons. Moreover, thread priority cannot be specified while using WinX YouTube Downloader. 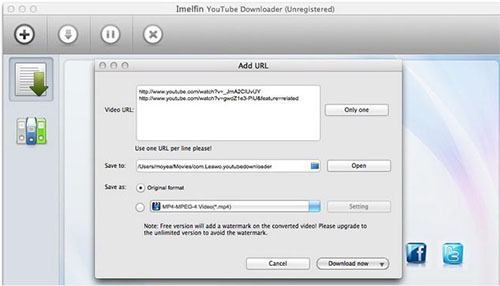 You can capture streaming videos in good quality using ImElfin YouTube Downloader which is decent desktop software. The software allows downloading any online videos and supports all popular sites including YouTube, Vevo, Metacafe, Dailymotion, AOL, Break, BlipTV, MTV, Hulu, and others. It features a build-in web browser from where you can search the desired videos. The multi-threading technology of ImElfin YouTube Downloader allows using the complete bandwidth of the computer and thus makes the download speed 3 times faster. Batch downloading is also supported by the software so that multiple videos can be downloaded at a time. In addition to downloading, the software can be used to manage, sort and organize the videos and playlists can be also be created. Some of the pros associated with the software includes, fast video download, HD video support and free from malware, spyware or adware. The complete features of the software can be availed through paid version which can be an issue for the ones who are looking for free options. 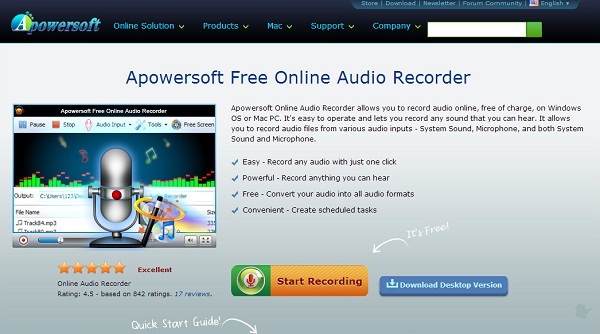 Streaming Video Recorder from Apowersoft allows capturing streaming videos from various sources. The software can record TV shows, online movies and video streams from various sites, including YouTube, Justin TV, CBS, Google Video, Blip TV and others. The streaming videos are automatically detected and recorded by the software. You can keep playing the videos and they get added in the download queue for recording. 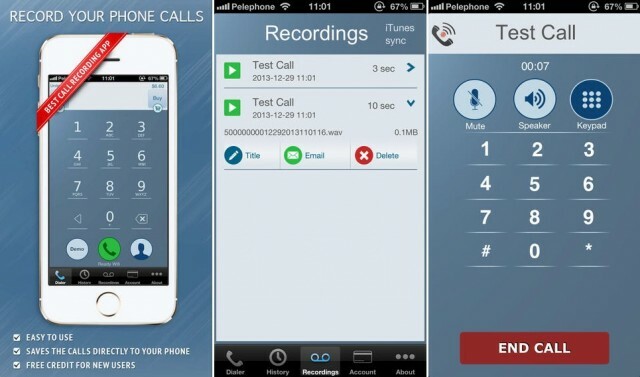 Majority of the popular media protocols like HTTP, HTTPS, RTSP, MMS, RTMS and HTP along with file formats like 3GP, MOV, WMV, WAV, MP4 and others are supported by the software. The software is compatible of working with all web browsers, including Chrome, IE, Firefox, Safari, Opera and Maxthon. The recorded as well as local video files can be converted to various video and audio formats that are compatible with other devices and portable players. Once the recording process is complete, the files can be directly transferred to iTunes for compatibility with iOS devices. This streaming video recorder also provides the option to edit video links by merging videos, trimming and cropping files, importing subtitles and tuning various special effects. Any Video Recorder from Anvsoft is a streaming video capture software that allows recording videos from various sources, like streaming videos, purchased or rented iTunes DRM video, protected DVD movies, TV shows which are copy-protected and content from various online sites. Some of the popular sites supported by the software, including Netflix, Dailymotion, MySpace, Vimeo, Hulu, MyVideo, Metacafe, CNN and others. The iTunes videos are in M4V format and are DRM protected. Using this software these DRM protected videos can be recorded and saved as unprotected MP4 format so that they can be enjoyed on PC and other devices. This professional software allows capturing screen and desktop activities that helps to create presentations, demo as well as tutorials. Any Video Recorder is compatible of working with Windows system and has simple to use interface. The software allows to record as well as save DVD for private use. The recorded videos are saved in MP4 format that is compatible of working with majority of the devices. In addition to desktop software, there are many online tools and websites that allow quickly downloading videos from various videos sharing sites and other sources. As compared to desktop software, online tools do not need to be downloaded and installed, and thus they are an easy way for capturing streaming videos. 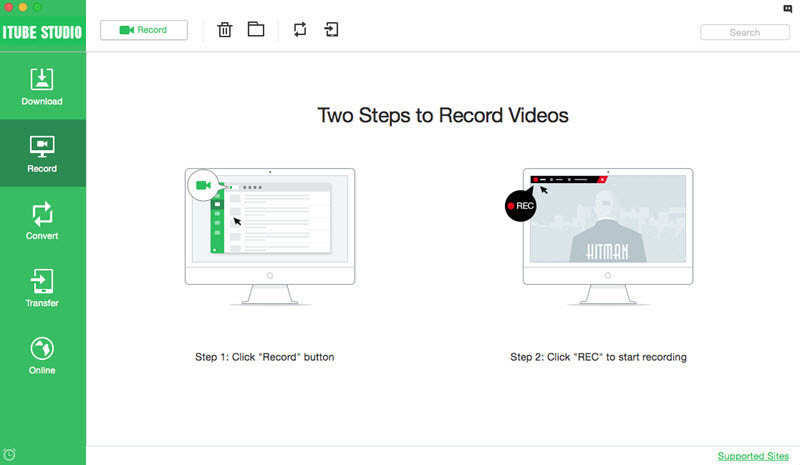 Listed below are the 4 recommended online tools to capture streaming videos. Another popular online tool for capturing streaming video is http://save-vid.com/. This online video downloader supports an array of sites, including YouTube, Vimeo, SoundCloud, Dailymotion and others. The process of capturing video through this site is quick and simple. You simply need to copy the video URL and paste it on the site and click "Download" for the process to start. The site also offers option to download videos in different resolutions and quality. This is another online site that allows capturing videos from various different sites, including YouTube and Vimeo. The sites allows recording, downloading and converting audio and video links to different formats. While using the site, you simply need to enter the video URL and select the desired format for the download process to start. The videos can be converted in different formats including MP3, M4A, AAC, MP4, 3GP, AVI and MOV at http://www.clipconverter.cc/ . FLVTO is a popular online tool that allows downloading YouTube videos by simply pasting the video URL. The downloader http://www.flvto.biz/ provides option to convert the video in various different formats, like MP3, MOV, WMA, WMV, AVI, and others. Extension for Firefox and other browser is also available for this tool. This is another name in the list of popular online video downloader. The tool http://en.savefrom.net/ helps to download YouTube videos and supports multiple formats like MP3, MP4, 3GP, WebM and others. The tool also features an option where you can replace “youtube” with “ssyoutube” in the video URL and it will automatically move to the page of Savefrom from where you can capture videos.